That is 600cc Micro sprint veteran Tom Fraschetta’s description of his experience at the inaugural East coast Indoor Dirt Nationals in 2017, as he and longtime friend Brian Montieth teamed up for an assault on the racey little oval inside the Cure Insurance Arena in Trenton, NJ. And it also sums up his approach to this year’s event on December 13, 14, and 15. Fraschetta, a King of Prussia, PA, resident, enjoyed the indoor dirt racing so much that he is doubling his effort for the second running of the showcase for the 600cc ground-pounders. With last season’s lessons learned, the duo feels much more prepared and they are taking a more serious attitude heading into this year’s event. They went to Airport Speedway in early November for the 100-lap Battle at the Bullring as a tune-up for Trenton, and overall, it went well. Montieth will be wheeling a 2007 Hyper that his car owner has driven for several seasons. “It’s still my favorite car,” says Fraschetta. “It’s won me some championships and races; in fact, it won four races this year.” The power plant is a Dave Orange Racing Engine. Even though he lives near Valley Forge, Fraschetta has done the bulk of his racing over the years at the Greenwood Valley Action Track in Orangeville, PA – about ten miles north of Bloomsburg and a hefty 2 1/2-hour trek from his home. “I started racing 270 Micros there in the ’80s and ’90s and really enjoyed it. Then I started my company and stopped racing for a while. When I decided to get back I into it, I really liked the 600’s and knew I wanted to go back to Greenwood. Gerry and Cindy (Creveling) are just really good people and they treat us great,” explained Fraschetta. 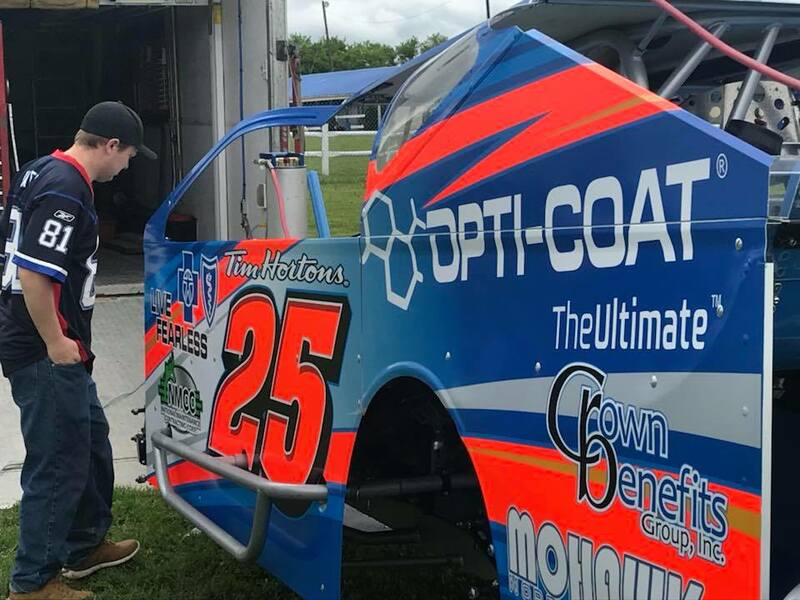 While he spends most of the summer months driving his own car, Fraschetta likes being a car owner and crew chief for events such as the Indoor Dirt Nationals. He’s had Tim Buckwalter drive for him (and win) a few times, and it was Buckwalter who got him hooked up with Erick Rudolph, the dirt Modified and TQ Midget standout. “I’ve talked with him and he (Rudolph) seems like a good, down-to-earth kind of guy. And I think his past experience will lend itself well to the 600’s; he should adapt very quickly and do well,” said the driver turned car owner. Rudolph, a double point champ in the Modifieds during 2018 and runner-up in the Super DIRTcar Series, will steer a 2010 Hyper powered by a Dave Orange Racing Engine. The Ransomville, NY ace is a four-time winner in the Trenton arena, but those victories were earned on the concrete, aboard a TQ.